Pack dues, which includes the neckerchief and handbook appropriate for rank, the regatta and pinewood derby kits, and all patches and awards for the year. 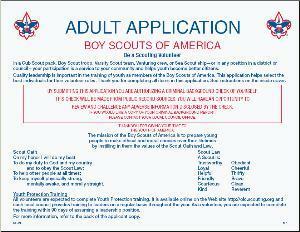 For questions about completing the application, or about the Cub Scout Program, please "contact our Pack" through the tab above. Adults interested in “Helping the Pack grow” should discuss their interests with the Cubmaster. All adult leaders must complete an application. 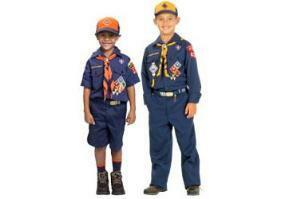 All registration and training fees are paid by Pack 1965. Medical Forms may be required for participants of certain activities. See the event description or contact your leader for details on which form(s) may be required. Spring Campout: EVERY member of the family attending this campout MUST have a new medical form on file. Complete parts A and C (No doctor sign-off required). 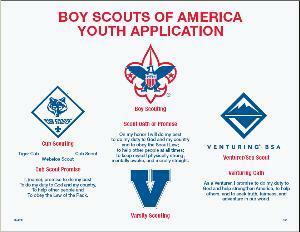 For proper placement of awards and insignia on the Cub Scout uniform, download the Cub Scout and Webelos Scout Uniform Inspection Sheet. For proper placement of insignia on the leader uniform, download the Male Leader or Female Leader uniform inspection forms.